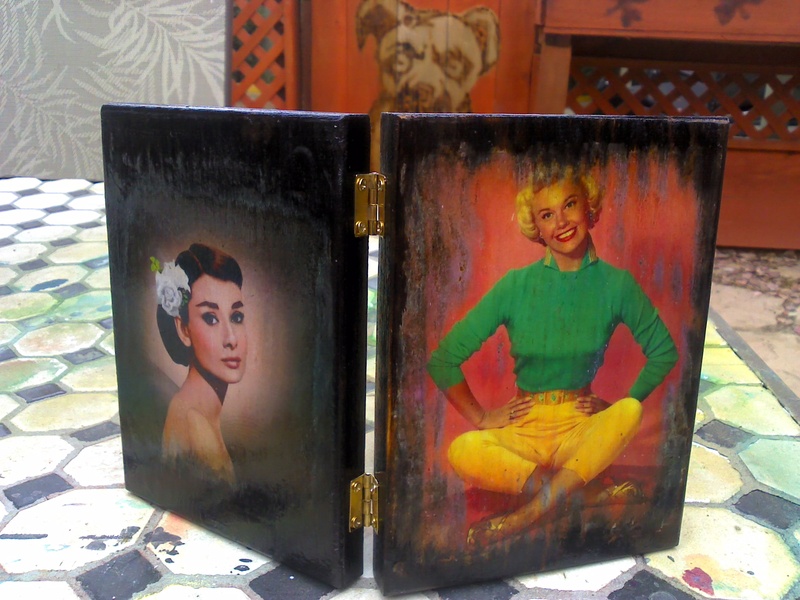 This is a custom made wooden cigarette or business card holder style box with Doris Day on one side, Audrey Hepburn on the other side of the lid. They are burned and glazed into the lid. The sides are burned black and stained golden oak. The lid is varnished and glossed for an incredible looking and durable finish. Size is about 4.5 inches across, 6 inches tall and an inch deep.